Photographs by Stan Sherer. Text by J. Michael Moore. In the early 19th century, Massachusetts was in the vanguard of states to take an active role in the care of the mentally ill. The “Northampton Lunatic Hospital” opened in 1858. It was built in an optimistic spirit of humanitarian reform which held that mental illness could be cured if the afflicted were provided with the appropriate environment and healthy influences. 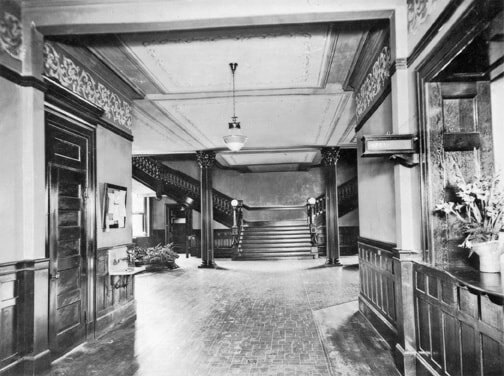 Both the location and the physical design of the building were intended to enhance the therapeutic effect of the hospital. Set on a hill a mile west of the town center, it was surrounded by expansive grounds and afforded a beautiful view of the Connecticut River Valley. 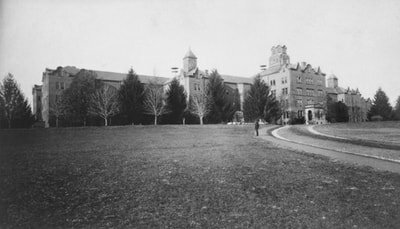 By the dawn of the twentieth century, the newly renamed, overcrowded, “Northampton State Hospital” housed six hundred people. But the bucolic vision had dimmed; the hospital was severely overcrowded and gradually served primarily as a roof over the heads of the patients, many of them left there and forgotten. In 1978 a consent decree mandated the development of an array of community housing and services. A very aggressive timetable was adopted for placing clients out in the community and reducing the census at the hospital. The last eleven patients left Northampton State Hospital in a van shortly before 10am on Thursday, August 26, 1993. 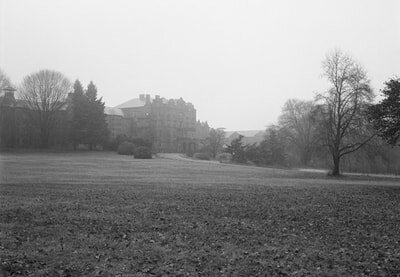 Village Hill Northampton, as the site is now called, still offers the beautiful views that were once seen as part of the cure, but little remains of the hospital whose history mirrors the changing American views of mental health care over 135 years. Today the “Hill” is a new community of single-family, townhomes, cottages, multifamily housing, commercial and—hopefully soon—retail businesses.